I am thankful that technology makes good preaching accessible to many people. I’m pumped to know that faithful sermons are being preached and distributed around the world. Whenever God’s life-giving Word goes out with power and clarity, you’ll get nothing but thumbs up from me. 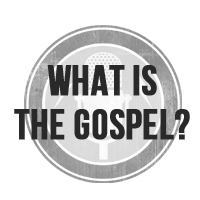 However, there is a dark side to podcast preachers; not from the preachers or the practice of podcasting, but for listeners themselves. Sometimes the very good thing of faithful podcast preaching can become a bad thing for the heart. A few years ago my iPod was filled with sermons from the usual gospelly suspects, and I listened to them fairly regularly. But I realized something wasn’t quite right. I was even more critical than usual. I was subconsciously grading my pastor’s sermons. My enjoyment of worshiping at church diminished. So I quit listening to sermons from famous guys. And this is what I noticed. My own pastor’s preaching became enormously important to me. I went to a non mega-church with a faithful pastor named Chris. He is not a celebrity. He is a preacher it would have been too easy for me to judge or ignore when my mind was filled with iPod sermons, not because his preaching falls short but because his last name doesn’t give him cache. My own bent towards being critical and critiquing played a significant role in this as well. But Chris is a wonderful pastor and preacher, and I was missing it. Since then I have moved states and switched churches. My current church has an interim pastor who does an excellent job. Would I think it was excellent if I was “grading” him? Probably not. All the worse for me and my soul. By doing away with my mental dependence on supplemental sermons I have gained the ability to go into church with an appetite for the preached word of God that isn’t choosy or finicky. I have been able to set aside so much of the comparison or criticism that once plagued my listening. Sunday mornings are not an exercise in homiletic or exegetical judgment for me. They are a meal for a hungry heart, and I usually head home with a take-out bag of truth to keep me fed through the week. Do you benefit from podcast preachers? Praise God! Just make sure that benefiting from their ministry doesn’t make you unhelpfully critical towards or ungrateful for the pastoring/preaching ministry of your own local church pastors. Don’t let a good thing go bad. I am a happy slave to Jesus, thankful husband to Chawna, delighted daddy to Daisy Jane & Penny Lane. I teach at Capo Valley Christian School & Biola University. I'm here on assignment (Acts 20:24). This entry was posted in Uncategorized and tagged barnabas piper, celebrity, preaching. Bookmark the permalink. Joyful slave of Jesus. Happy husband of Chawna. Delighted Daddy to Daisy Jane & Penny Lane. Friend of Pilgrims. Believer or non-believer, consider yourself invited to celebrate (or think about) the resurrection of Jesus with us at @unionchurchsc #Easter service this Sunday! DM me if you have any questions! Helping pastors thrive in the trenches of pastoral ministry.